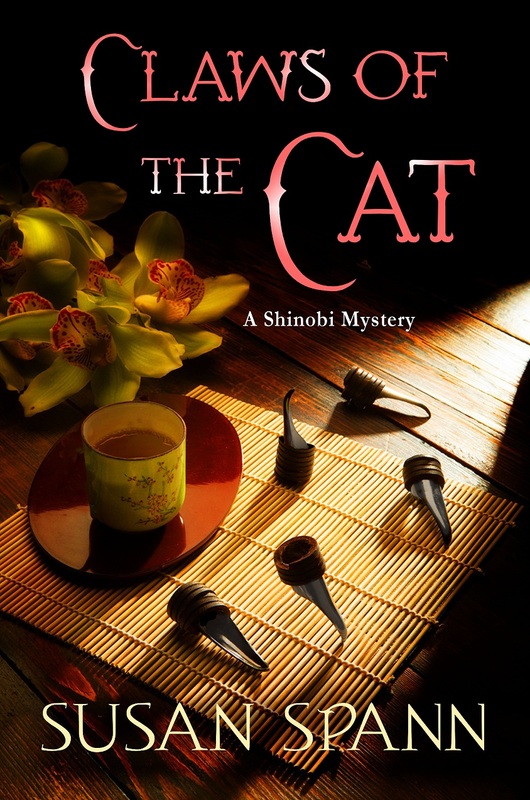 Susan Spann is a transactional attorney and the author of CLAWS OF THE CAT: A SHINOBI MYSTERY (Minotaur Books, July 2013), the first in a series featuring ninja detective Hiro Hattori (http://us.macmillan.com/clawsofthecat/SusanSpann). 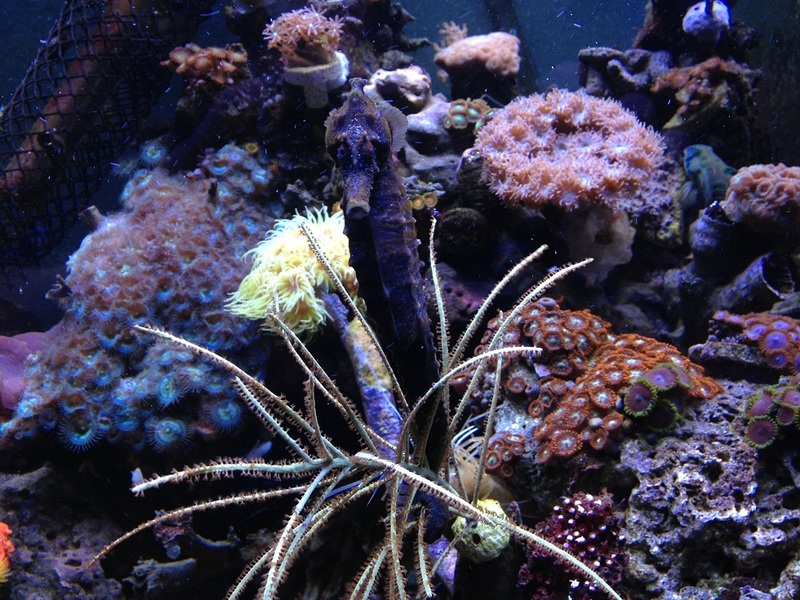 Her hobbies include traditional archery, martial arts, rock climbing, and raising seahorses and rare corals in her marine aquarium. You can find Susan online at http://www.susanspann.com or on Twitter @SusanSpann. Some things in life, we do because we love them. Writing is one of those things. In the early days, we write because the words won’t let us do otherwise. We write for ourselves, for our friends, and for the dream that someday strangers may read our words. In the midgame, after we find an agent and publisher willing to take the chance, we write with fevered excitement. We try to rein in our expectations, and, for the most part, we fail. And then our debut book releases. 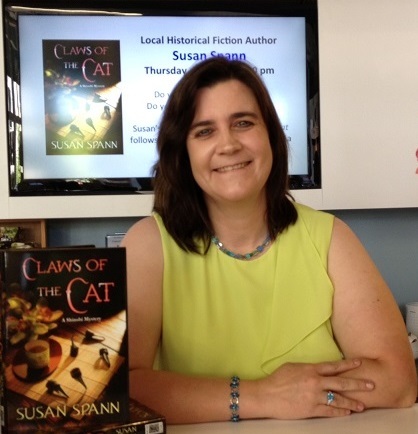 We find ourselves in a whirlwind of signings, interviews, and guest blogs. Our Twitter and Facebook feeds explode with congratulatory messages and—if we’re lucky—compliments from strangers who read and enjoyed our books. “Curiouser and curiouser,” Alice said of the world on the other side of the looking glass. Because even here, in the midst of wonder, joy, and excited frenzy, fear and doubt can live. Most unpublished writers—me among them until recently—believe that life after publication is made of unicorns and rainbows. Golden fairy-dusted cupcakes must be a published author’s only meals. A chorus of angels sings her to sleep, and the tinkling laughter of worshipping fans becomes her wake-up call. Not so fast there, Tinkerbell. Life after publication is wonderful in many ways. I know how rare a joy it is, and believe me, I don’t complain. But I am frightened also, and because I think it might help others, I’m willing to shine a light on those shadowed places. Many parts of publication are delightful without exception. You see your book for sale in a bookstore, or on the Internet. That part is dream come true. It doesn’t matter if the book is hardback or paperback, ebook or physical copies. It exists. You love it, and you hope that it will thrive. But a few days later, a week or so after release, the excitement starts to die down and the fear creeps in. You realize you’re only one voice amid a cacophony of titles—one author among thousands, or tens of thousands, competing for that reader’s eye. Your fear and insecurity ... the ones that dogged you daily before you signed the publisher’s contract ... creep back in. And then they open up on you, just like they did before. Only now, they’ve got more leverage. Not only will they put down your sales (no matter how many books you might have sold), they’ll help you obsess over everything from Amazon rankings to bad reviews. They don’t care that no book pleases everyone, or that Amazon rankings have all the lifelong importance of a gnat’s cough in a hurricane. If you’re not careful, you’ll forget that you fought and defeated these enemies before. You had to. You’re published. You couldn’t have gotten there without a victory over fear. The bad news is, the fears are stronger after publication, mostly because we now have more to lose. Our private dream is a public achievement. Our secret hopes are on bookstore and library shelves. And yet, it isn’t just the fears that are stronger. We, the authors, are stronger too. We do have the book, and it’s published, and we have the letters from strangers who actually read it and found it good to prove the publisher wasn’t mistaken in trusting our vision. The fears are with us, but we can fight them, and once again we can prevail. - Family and friends. The people who know and love you will also push your shadows back. They believe in you, and their belief will help you believe in yourself. 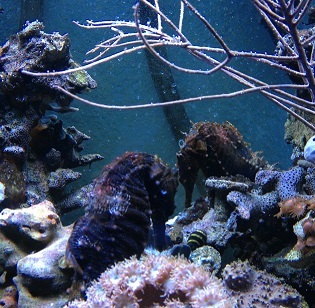 - Seahorses. OK, this one might not work for you exactly, but the variation is something simple, which you love for itself and itself alone. 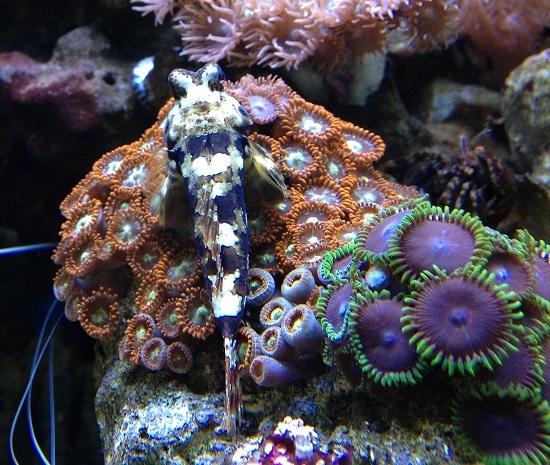 For me, that means my seahorse reef and its many quirky inhabitants. I love them. I watch them. They make me smile. That’s all I require from them, and I take true joy from time I spend in their company. For you, it might be cupcakes, or reading, or mowing the lawn. (If so, feel free to come over and mow mine too.) But at the end of the day, it’s always joy that conquers fear, and in the post-release world, that joy is easy to find if you let yourself see it. It’s in the book with your name on the cover that you can now hold in your fortunate hands. It’s in the smiles of friends and family—and readers—who love your work and love you too. It’s in the simple things, like lemon cupcakes, that make you smile even if they aren’t now coated in fairy dust. Love is where the story started, and love is where it ends. Love of the book, love of the words, love of the things around you, and also love of this crazy publishing journey which, though scary, is also magical in its way. Your aquarium is just gorgeous. 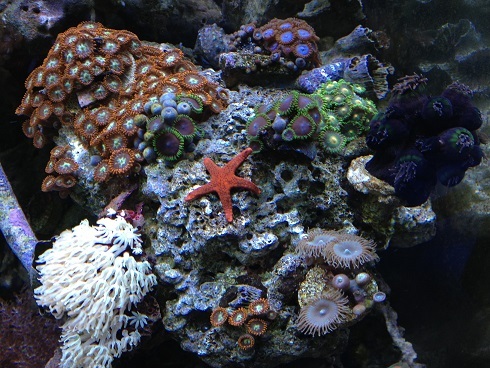 One of our sons has a salt water aquarium, too, and watching the critters in there is always a great stress-buster. Good luck with your book! I wish you much success with it, even if there isn't any fairy dust on your cupcakes. Sprinkles will suffice. What a beautiful and inspiring post, Susan. This in particular, resonated a lot: "it isn’t just the fears that are stronger. We, the authors, are stronger too." Thank you Susan and Natalia. I'm so glad the post could inspire and also (hopefully) dim the fear - it really is manageable if you focus on what's really important. The sprinkles really do suffice!! Thank you, Linda, for hosting me today and letting me share a little about this side of the journey. Happy Weekend to Susan and Linda! Every word is true. And I can tell you another secret: it's still true about the third released book, and the fifth book contract signed. I think that fear will never go away, because we remain just as vulnerable with every new book we get published. Susan F. S. -- Isn't it? 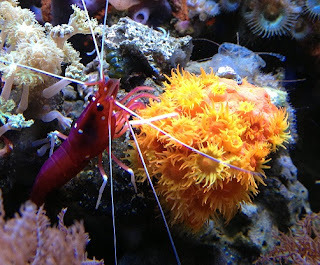 I just love Susan's aquarium--it's like a living painting. 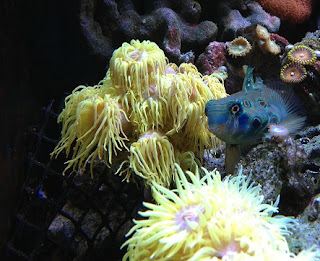 Mariam -- Nice to meet your pixels! :) I agree--the vulnerability remains. I wonder if, in addition to having people our heads that must get out, we writers area also emotional adrenaline junkies. I'm in the "editing my first sale and trying to stay out of the fetal position and hoping to sell the next book and write the one after that while pitching six new ideas a week to my agent" phase of things. Can I have my cupcake while riding a seahorse instead of a unicorn? Thanks Susan, This was a great post. You're right. You have to write for the love of it. Post publication amidst all the craziness you just have to remember why you started writing in the first place. LOVE your seahorses. So beautiful. Thanks Linda for such a great guest. The WINNER of the Camel-Vacuuming Contest!